Almost nobody is buying the $999 phone other than the people buying it. Spoiler alert for Avengers: Infinity War: everyone is a Skrull. Spoiler alert for this article: yes, we’re still talking about the supposedly failed iPhone X. The Macalope woke up this morning full of pie-eyed optimism that we’d find something, anything else to talk about today. Then he turned his MacBook on and was sprayed in the face with a firehose of conventional wisdom about the iPhone X. Almost nobody. Like, five people. And, in a weird coincidence, all of whom the Macalope knows. Dave, please, every moment of every day of our lives has the potential to make CEO Tim Cook look like a fool. It doesn’t happen, but they all have the potential. Usually it’s true, and we all run out to buy the latest and greatest phone… But analysts say that tide is shifting: Dramatically fewer people are buying the latest iPhones. If only there were some reason for this. Oh, wait! There is! Turns out (turns out) this year was different than previous years because Apple kept two previous years worth of phones for sale instead of just one. Apple gave people more choice and they took advantage of it. What a fool Tim Cook is! Surely he assumed that no one would buy the iPhone 6s. He only offered it for sale ironically. The iPhone X, Apple’s new flagship phone and heir apparent to the universal design of a smartphone, only accounted for 16% of the company’s smartphone sales so far in 2018, according to estimates (pdf) from analyst Consumer Intelligence Research Partners. Yes, Apple has eight phones for sale and “only” 16 percent of customers are buying the most expensive one. What a colossal fail. Apple’s introduction of the iPhone X, and its elevated $1,000 price, indicated Apple had confidence that people would be willing spend more than ever on a new phone to get cutting-edge technology—but a 11-point slide year over year in sales might indicate that confidence is misplaced. 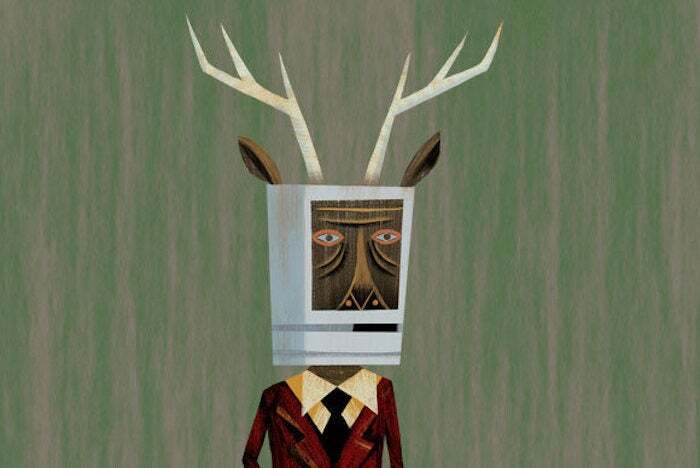 The Macalope isn’t sure where he’s getting that 11-point slide from, since analysts seem to be expecting a small uptick in iPhone sales for the first calendar quarter. Maybe The 11-Point Slide is the new dance craze that’s sweeping the nation. Which is entirely possible since the Macalope has been out of competitive dancing since that hoof incident in ’07, so he wouldn’t have heard of it. Oh, do companies still make profit these days? The Macalope thought it was all units and engagement. The horny one has no reason to disbelieve this survey, but it’s worth noting it’s not the hugest sample size. CIRP bases its findings on its survey of 500 US Apple customers that purchased an iPhone, iPad, or Mac in the US in January-March 2018 period. Frankly, the Macalope expects sales of older phones would probably be even larger outside the U.S., but some of these people didn’t even buy an iPhone apparently. The Macalope’s been saying this since last fall but iPhone X wasn’t about units, it was about profit. It’s done an excellent job at what it was supposed to do.